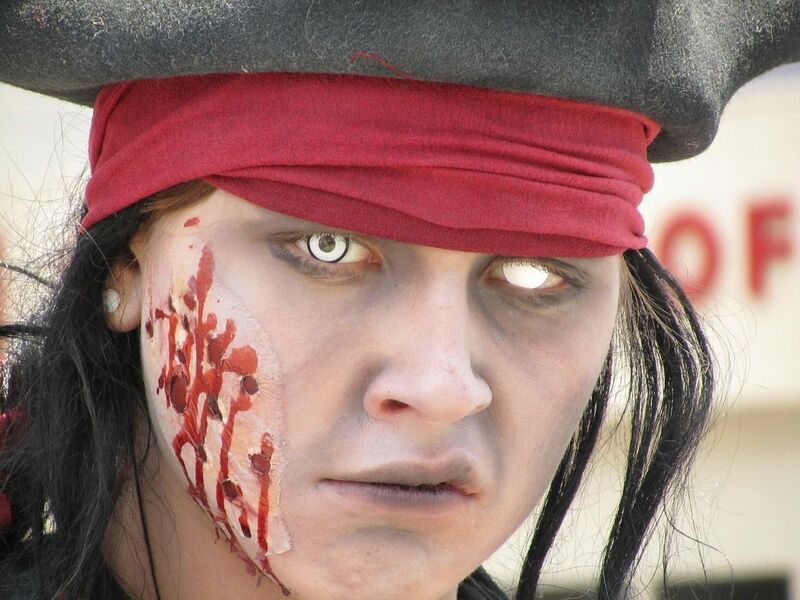 If ghosts, haunted houses, goblins, and Halloween costumes are on everyone’s mind, there’s now something ghoulishly fun for all fear tolerances including California haunted houses, theme parks, and other Halloween fun. Since the fright industry has grown so quickly, both mild and terrifying fun are available throughout the fall. We’ve found some great events (many of them free) in San Francisco, Santa Clara, Vallejo, Anaheim, Los Angeles, Long Beach and Hollywood and categorized them based on “freak out” level. The younger kids will probably enjoy our lowest fear factor while more ambitious teens will probably go for the highest fear features! San Francisco can be terrifying! Teens especially should appreciate the special evening cruise tours of Alcatraz Thursday to Monday nights. They leave from Pier 33 and cost about $7 more than daylight tours – just imagine how you’d feel if the boat pulled away and left you visiting this legendary prison after dark. If you are interested in day-tours, they offer a Family Ticket Special for two adults and two children that’s so worthwhile; Alcatraz is one of those bucket list items and you won’t be disappointed. Need a discount California hotel? Every weekend through October, many California theme parks drag out the cobwebs and ketchup to create truly terrifying Halloween environments. For example, at Six Flags Discovery Kingdom at 1001 Fairgrounds Drive in Vallejo, Fright Fest is back from Friday, Saturday and Sunday through November 1st and is scarier than ever before. Kids can join the daylight Monster Party live show at Harbor Stage or get treats at the Twick or Tweat Twail with awaiting Looney Toons characters. Hundreds of zombies are to be released throughout the park by day, but they’re kid-friendly and the scariest score here is that season ticket holders get to enter all the mayhem free. Fright by Night is the Six Flags’ adult-rated version (as if adults were less afraid than kids?) Carnevil, Death Under the Big Top pairs a horrifying clown with a sword-swallower whose weapons are still surprisngly sharp, keeping passersby very aware of their smoky surroundings. These special haunts are all just for adult fun, but if you’re afraid of bugs, ghosts or zombies (real or fake), don’t come! If you’re closer to Santa Clara, every Friday through Sunday of October until midnight, California’s Great America theme park runs their Halloween Haunt. The park is decked out with mazes, themed scare zones, live stage shows, and a gruesome themed attraction — plus the park’s collection of thrill rides. We love this park with all ages; there is the Great Pumpkin Fest for under-12s where you’ll find afternoon crafts activities, sweet Peanuts themed rides and shaded benches for the grandparents who accompany them to the gentle side of Halloween. Wait until dusk for Gold Striker, one of the coolest wooden coasters on the planet, which sounds like rattling skeleton bones each Halloween. This is a PG-13 event. Families with brave souls over 12-years will find five haunted mazes placed throughout the Queen Mary property, including inside the deep bowels of the “haunted” vessel. According to vessel historians, guests, employees and paranormal researchers have witnessed unexplained sounds, voices, apparitions and other phenomena while aboard ship. In addition to cavorting with actual ghosts, you can face 120 “living” ghosts and 20-foot-tall flames, then retreat to food, drink and entertainment aboard the beautiful ship. The Queen Mary Dark Harbor is on Friday and Saturday nights, plus a few more, in October. Admission starts at $20, depending on schedule and includes unlimited entry to all haunted mazes, live bands and dance parties; guest cabins start around $140 a night midweek but are usually sold out the Halloween week, months in advance. VIP spookparties for ages 21+ with a hidden bar and more are noted at Queen Mary site. The “Knott’s Scary Farm” at Knott’s Berry Farm features Camp Spooky for the little ones, and that includes a fun field packed with Knott’s famous cornfield mazes and California haunted houses. Rides and your favorite Peanuts characters are costumed for the occasion. Trust us, if you’re only 36″ tall, you’re going to get a little kick out of this. Looking for a discount California rental car? Then there’s Knott’s Scary Farm designed to terrify any age group. The special Halloween Haunt ticketed event for ages 13+ is open Wednesday through Sunday nights between late September and November 1st. Word to the wise: Watch out for the twisted tooth fairy stealing more than just teeth. Tickets start at $42 for the Dark Ride, DJ in Ghost Town, Fiestas de los Muertos and much more. Isn’t Hollywood always a nightmare? 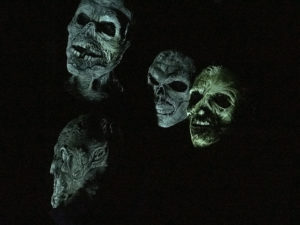 Universal Hollywood has a bunch of Halloween Horror Nights with an awesomely high freak out factor, a variety of frightful experiences in six mazes, plus four scare zones including “Corpz.” Watch out for some of the most infamous characters who are on the lookout for unsuspecting visitors. Make your way through spooky California haunted houses and mazes, such as the all-new “The Thing,” and catch classic horror icons such as Freddy Kruger and Leatherface. It opens in late September and the fuzzy sort of fun continues till the weekend after Halloween, for another two nights of After Party. Don’t miss the Backlot Tour via Terror Tram; this year it’s themed to “The Purge,” so watch out. Forget the general admission rates and go for the Killer Deal Night special discounts promoted on the website. Front-of-the-line passes are also available; rates vary based on day of entry. No kid’s tickets are sold, since Universal doesn’t recommend this event for anyone under 13. Remember: No costumes or masks are allowed. here’s an HHN blog with more details. Nearly half a million revelers descend on Santa Monica Blvd. between Doheny Drive and La Cienega Blvd. in West Hollywood for West Hollywood Carnaval, proclaiming itself the world’s largest Halloween street festival. Look for California haunted houses and more this year. Leave the kids and pets at home, alone if you dare. Find more Halloween fun at haunted houses for kids and spooky events around the country. Thanks for suggesting the Halloween event at Great Adventure, glad to know they have one, too. I want to share that,The word Halloween is first released in the 16th century and represents a Scottish variant of the fuller All-Hallows-Even("evening"),that is, the night before All Hallows Day.